Temperature plays a big role in the strength and durability of steel, which is what makes quenching steel properly so important. There are many ways to control the temperature of steel during this process, such as using pressure, precipitation and oil baths. At Specialty Steel Treating, Inc., we use these and other methods to create the hardest steel possible for whatever use you have in mind. Steel quenching often involves soaking it in some medium, such as oil or water. This results in small deposits in and on the object that can cause problems if there are too many impurities. Using high quality oil and specially purified water can prevent this kind of issue from weakening your steel. 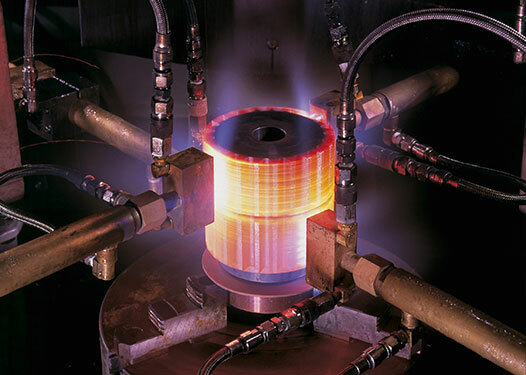 Like impurities, bubbles and stem during a quenching and tempering heat treatment can cause defects in the steel. We avoid this issue with agitation and steaming. Precipitation quenching is one of the methods we offer that prevents precipitates from forming. If your steel can stand to sacrifice some hardness for a brighter finish, bright hardening is another available quenching method. This process is especially popular for stainless steel parts that serve a more aesthetic purpose in a finished product. Specialty Steel Treating, Inc. has a variety of methods designed to give you the hardest steel possible. We carefully prevent distortions and precipitates so your steel comes out the right size, shape and strength. Find out more about steel quenching today by calling us at 586-293-5355 or filling out an online contact form.